Attention shop owners, bloggers and crafters gearing up for the holiday sales- I have open sponsorship spots for November! 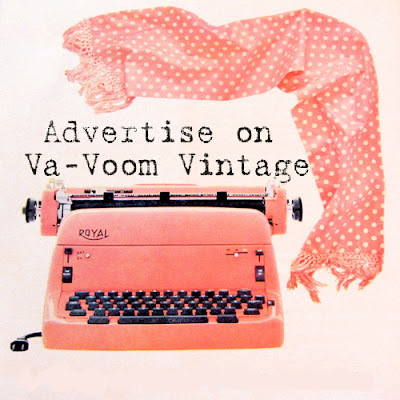 Va-Voom Vintage offers a variety of button sizes to suit your advertising needs and budget. These ads will appear on my right sidebar for 30 days and will be linked to your site. Purchasing ad space is easier than ever, just click the button below and it will walk you through a few quick steps. If you prefer, you can email me for a Paypal invoice and I will be happy to set up ads manually.